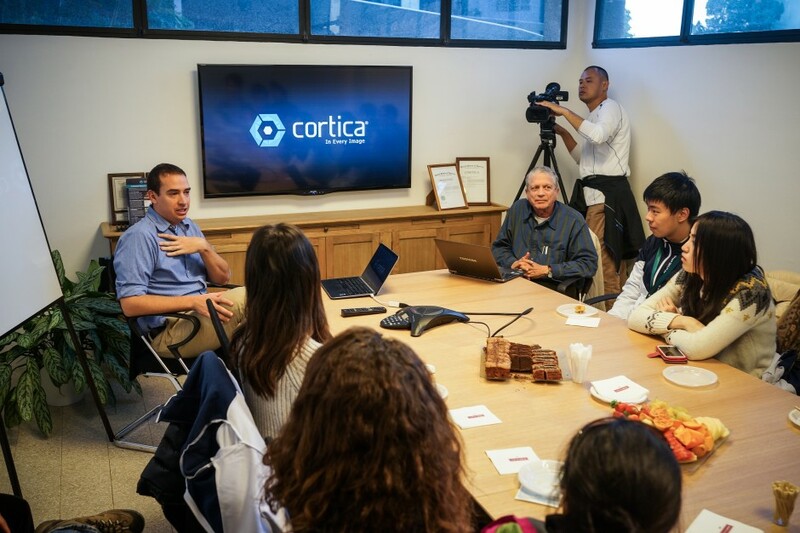 (Israel, 12 January, 2105)–On 8 January, 50 Hong Kong students selected to join the Techcracker Lab programme ventured out of their comfort zones, and headed to Israel for a journey across the “Startup Nation”. 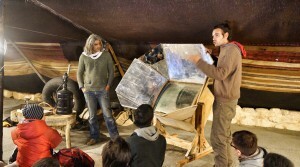 Upon arrival, the group was met with unpredictable weather and snow, yet they managed to complete a 6-hour crash course on anti-terrorism training, and over the next four days, spent a night in the desert, navigated Old Jaffa by solving puzzles, met with at least four Founders in a day, and on top of that, presented mock pitches to a panel of judges before their departure. Guided by an unyielding spirit of fearlessness and audacity, it is said that Israel has innovation in its DNA. Israel in Hebrew translates into “May God Prevail”; despite of being scarce in natural resources, the nation continues to prosper. The students returned to Hong Kong after the trip with encouragement, newfound understanding of entrepreneurship, this vigour and dedication Israelis call “chutzpah”, and a dose of Israel’s “innovation DNA”. In Israel, the military also acts as a technology incubator. Many Founders have served in intelligence units, and today are leading innovation across the world. 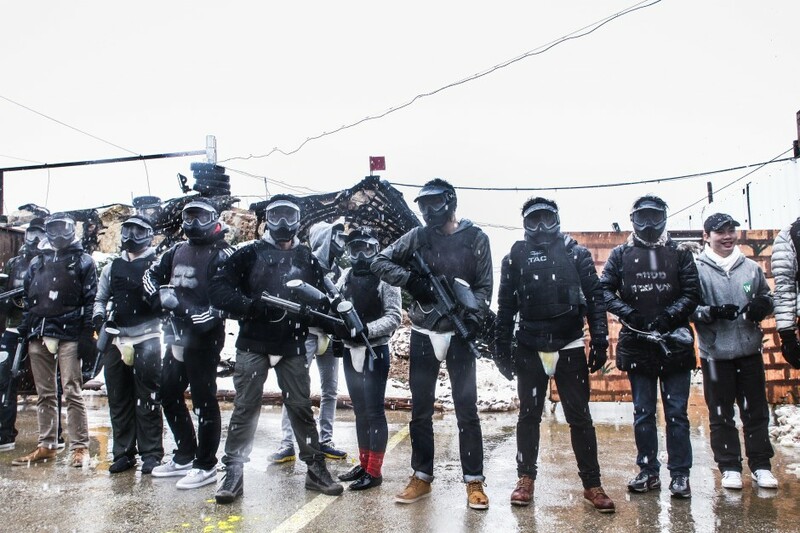 Straight off the 12-hour flight, students proceeded to a 6-hour crash course on Israel defence training at Caliber3. 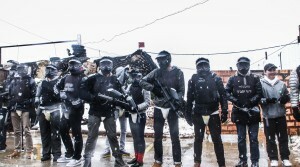 The group underwent a series of drills based on programmes developed by top tier commanders, including krav maga, a shooting adventure and mock combat. In spite of heavy snow, every delegate persevered and was awarded course certificates for completing the course. Half of Israel is covered by desert terrain. Here, ingenuity is survival, and innovation has helped the nation feed a population of 8 million. At the Bedouin camp Kfar Hanokdim—Kfar, meaning “community”—students learned survival skills and nomad living to dial up their experience in self-reliance. Utilizing mirrors and reflective materials to concentrate sunlight for heat, students successfully created a 240C “oven” for roasting meats. 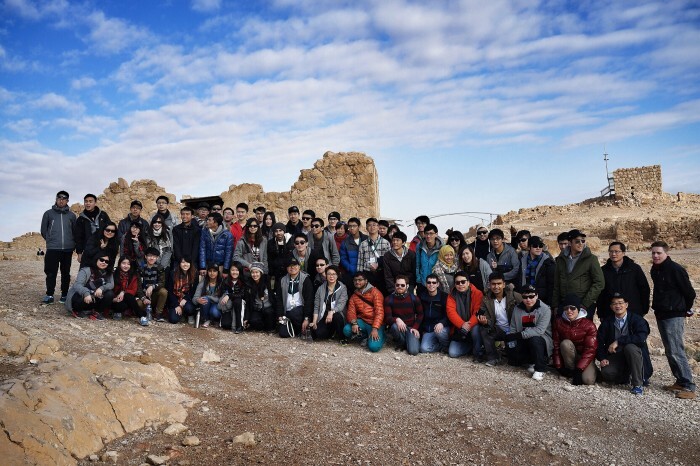 The group also visited the Unesco World Heritage site Masada, a rugged fortress imprinted with thousands of years of wisdom and signs of the human struggle between oppression and liberty. In the heart of the Judean, rainwater is a natural resource. This precious resource was collected through a brilliant system of waterways and catchment areas that led to 12 cisterns with a total storage capacity of 40,000 cubic metres. Out of the classroom, on this magnificent cliff, the students learned a valuable lesson from those who, driven by the will to survive, overcame challenges and thrived. Following a dip in the Dead Sea, the group headed towards the Technion-Israel Institute of Technology in Haifa, where they were greeted by President Professor Peretz Lavie. The secret behind the success of Waze, the social navigation app purchased by Google, is the team’s desire to solve problems for its users, and the understanding that failure is inevitable. Founder Uri Levine explained, “an entrepreneur’s passion for change is greater than their fear for failure and loss. If you are afraid to fail, you will be led by your fears and not by your opportunities.” He told the students that he often get asked the question, “What happens when you fail?”. He advised the students to “change that question: what will happen if you didn’t try?” With the success of Waze, Uri continued with founding another company, FeeX, which helps users fight against excessive financial fees. He emphasized that to begin a startup, one must first focus on searching for the root of the problem; only then will you find a solution that is of significant value to your users. 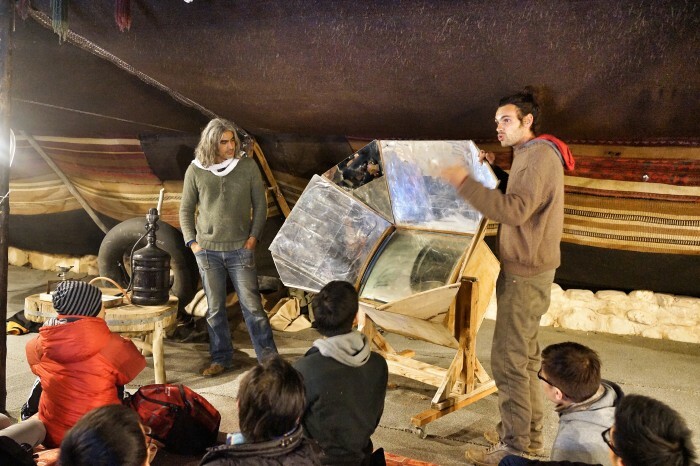 Students from the Technion-Israel Institute of Technology also participated in the programme as student ambassadors. Sonny recalled his Israeli peer describing Facebook as a social media platform now flooded with meaningless content, “he suggested that Facebook add a function by allowing people to unlike posts anonymously, and once the post hits 10 unlikes, the post auto deletes to eradicate superficial content. I thought that this was such a witty and brilliant suggestion!” Direct interactions with local peers, Sonny added, is the most practical way to understanding innovation; novelty appears in all forms and at any moment. 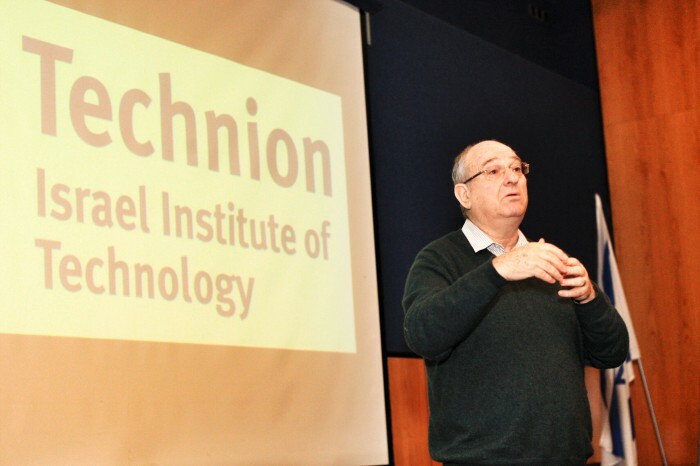 Co-organized with the Technion-Israel Institute of Technology and Horizons Ventures, the Techcracker Lab program is supported by the Consulate General of Israel in Hong Kong, the Chinese University of Hong Kong (CUHK), the Hong Kong Polytechnic University (HK PolyU), the Hong Kong University of Science and Technology (HKUST), the University of Hong Kong (HKU) and the Hong Kong New Generation Cultural Association. The group of delegates comprised of 40 university students, 10 secondary school students, 8 chaperones and over 20 members of the press. 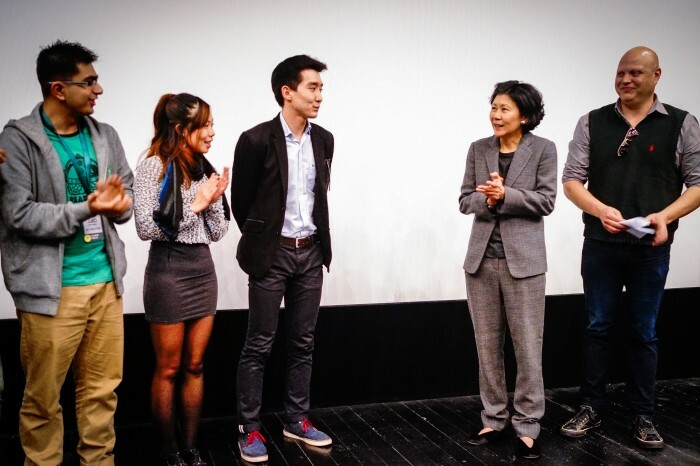 Refreshed with a dose of motivation and a dollop of innovation, the group returned to Hong Kong on 13 January. Caption 1: Straight off a 12-hour flight, students proceeded to a 6-hour crash course on Israel defence training at Caliber3. Caption 2: At the Bedouin camp Kfar Hanokdim, students learned survival skills and nomad living to dial up their experience in self-reliance. Caption 3: Out of the classroom, on the magnificent cliff of Masada, students learned a valuable lesson from those who, driven by the will to survive, overcame challenges and thrived. 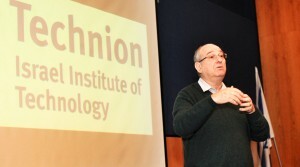 Caption 4: At the Technion-Israel Institute of Technology, students were greeted by President Professor Peretz Lavie, who emphasised the importance of educational institutions as a driver for change. 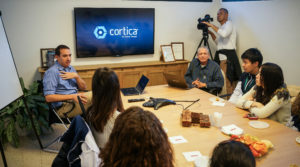 Caption 5: Ohad Mastboim, Business Development Manager at Cortica talks about how a concept is realized and brought into the market. Caption 6: On the last day, teams presented their mock pitches to a panel of judges. Team 4, with their “P2P Transfer Services” concept, won USD 10,000 to donate to any Israeli charity of their choice.